Athletes will receive an invite from TeamSnap (see below for explanation). Athletes must mark regatta attendance and invite family members . Please contact clothingchair@uacrew.org for information on ordering. Note: All outstanding fees from prior seasons must be PAID IN FULL to participate. UA Crew uses RegattaCentral for registration of all seasons. 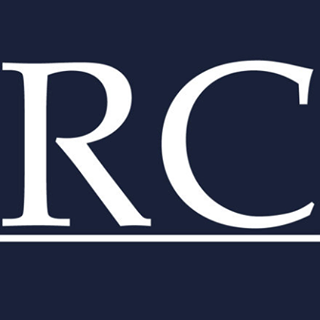 RegattaCentral is a company that offers team, club, and regatta registration and management. To sign your athlete up for an account, click here: https://www.regattacentral.com/signup . Email addresses for UA Crew communications and rosters are exported from RegattaCentral. Please be sure to have the athlete's correct email address on the account. 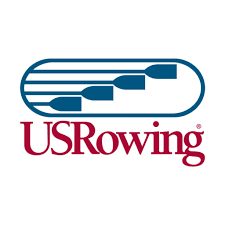 All UA Crew particpants must have a current USRowing basic membership. Join or renew here. UA Crew's club code is ES3GZ. Select ‘Join’ on the left side under "Individuals"
If you remember your login information, then click on "Members" under "Individuals" and log in as normal to go through the renewal process. Click on the "Email" tab and enter the email address associated with your account and your birth-date. You will receive an email with a direct link to the waiver. Please review it with your parent or guardian. Go to https://membership.usrowing.org/individual/login?action=waiver and log-in with your USRowing Member number and password. If you do not know this information, then click the "Forgot my Member Number" or "Set/Reset Password" links. Once you have accessed your account, click on the "Waiver" button on the sidebar, and review it with your parent or guardian. Add Family Members, and much more! NOTE: Athletes are invited via the Athlete/Participant email address entered in RegattaCentral Registration. Go to Optional Player Details and specify a vegetarian or vegan diet. Failure to mark attendance as a yes or no will automatically be considered "not attending"
All UA Crew athletes must have a current 2019 8to18 registration and are required to have an up-to-date physical on file with UAHS prior to participation in the spring season. Physicals are to be turned in to the Athletic Office or to the Athletic Trainer at UAHS. Please visit 8to18 to update or begin registration and find the UAHS required athletic forms. For instructions about how to create an 8to18 account, click here. 8to18 requires parents and athletes to watch the Lindsay's Law video. Please note that this works best from a computer and the complete video must be watched before the confirmation box will appear. Upper Arlington Crew is a participating sport with the UA Boosters which provides financial support and fundraising for our team. The fee is $10 per athlete or $15 for families with more than one athlete. If you already made a payment to UA Boosters for a different sport in the 2018-2109 scholl year, you do not need to pay this again for UA Crew participation. Payment is made at Meet the Team on February 28, 2019.